Charles R. Bauer, MD joined the Department of Surgery faculty in 1982. He was instrumental in leading the development of the Emergency Medicine Program at UT Health San Antonio and the University Health System. Dr. Bauer graduated from Marquette University School of Medicine in 1958 and completed a rotating internship at St. Mary's Hospital. He entered the US Air Force and spent 3 years as a flight surgeon at Tinker AFB, Oklahoma. From 1962-1967, he completed four years of general surgery residency and an additional year in Plastic and Reconstructive Surgery and Thoracic and Cardiovascular Surgery at the University of Florida, Gainesville, Florida. From 1967-1970, Dr. Bauer was stationed at Tachikawa Air Base, Japan caring for Vietnam war casualties. Dr. Bauer was Commander, 659th Air Transportable Hospital, USAF Hospital Luke, and USAF Kessler Medical Center (Brig. General position). He retired in 1982 as a Colonel with Chief Physician and Chief Flight Surgeon ratings and was awarded the Legion of Merit with 2 oak leaf clusters. Upon retirement from the Air Force, Dr. Bauer joined the Surgery faculty at the University Health San Antonio as a general and trauma surgeon and as the Assistant Dean for Ambulatory and Emergency Services. He was board certified in both surgery and emergency medicine. The American College of Physician Executives recognized him as a Certified Physician Executive (CPE). 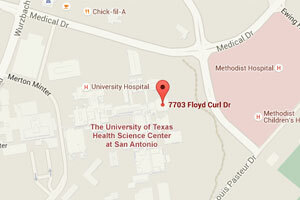 Dr. Bauer led and established Emergency Medicine at both University Hospital and UT Health San Antonio. He served as the first Chief of Emergency Medicine and Medical Director of the Emergency Department at University Health System. He laid the foundation for the Department of Emergency Medicine at UT Health San Antonio, and, over three decades, has been a critical advocate for the entire Emergency Medical program at UHS and UT Health San Antonio. Dr. Bauer will be sorely missed; however, his legacy lives on through the work of all those he mentored, developed and influenced in the fields of Emergency Medicine, Surgery, and Disaster Management & Emergency Preparedness. Thank you in advance for your gift or pledge to help this fund grow and keep his memory close to our hearts.